Aiyah, enough talk about canes and corporal punishment. Let’s move on to something more pleasant. Yes, you’ve guess it - Food! As a kampong boy, one of my favourite indulgences was to treat myself to traditional Chinese snacks in the afternoon. Just next to our house was a small stand-alone coffee shop with attap roof, owned by a Hock Chew man who we simply called, Fook Chow lou. (福州佬). He used to sell various types of snacks kept in cylindrical glass bottles. 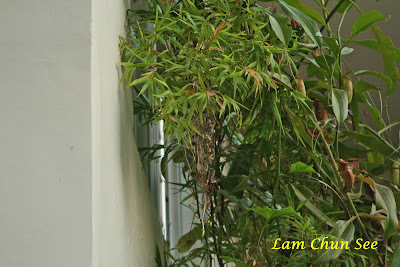 Besides the still popular items like Tao Sar Pia, most of them have become extinct – or so I thought. To my surprise, when I kept a lookout for them, many are still available in Singapore. So lately I have been buying them just for the purpose writing this post because I have forgotten some of the names. Anyway, I find that I don’t quite enjoy the taste anymore. The way I ate this kueh was to first tear off and eat the circular edge before eating the main body. They still pack it in pink colour paper; but the ones I used to eat were packed differently. Usually several pieces were wrapped in a single block about the size of a mobile phone. We would eat it layer by layer. I couldn’t find this biscuit in Singapore and was quite delighted to see it in a coffee shop in Yong Peng. I remember my kampong version was of a lighter, more yellowish colour compared to this one which came individually packed. 4) This fourth one was one of my favourites, but I cannot recall the name. I hope readers can enlighten me. It is still wrapped in translucent waxy paper. One thing I discovered about all the about snacks. They are all very sweet. I am a firm believer in the proverb, “Spare the rod and spoil the child”. Hence, throughout the time my children were growing up, we had a cane in our home. And I do put it to use too; not very often though. Unfortunately my aim had never been too good. Most of the time, the cane landed on the tables and chairs and not on the intended target. Anyway, I don’t expect many young parents nowadays to keep canes in their homes. As far as I know, they are all ‘civilized’ and adopt liberal western techniques of disciplining children. I suppose they all adopt the NTUC principle, which my children picked up from a Comfort taxi driver – Never to Use Cane! Hence I was quite surprised to see several canes on sale at a hardware shop in Clementi recently. Later, I found that actually many shops carry this product - which must be proof that many young parents still bought them. I do hope their aiming is not better than mine. Lest you think I am emulating my own parents, I should inform you that my mother never used a cane on us. She used this other item which I also saw at the same Clementi shop. Earlier I blogged about how Michael Jackson played a key role in launching the song We Are The World. Did you know that not long after that the Taiwanese came up with a similar effort? Do you know the title of their song? The answer can be found in my other blog here. 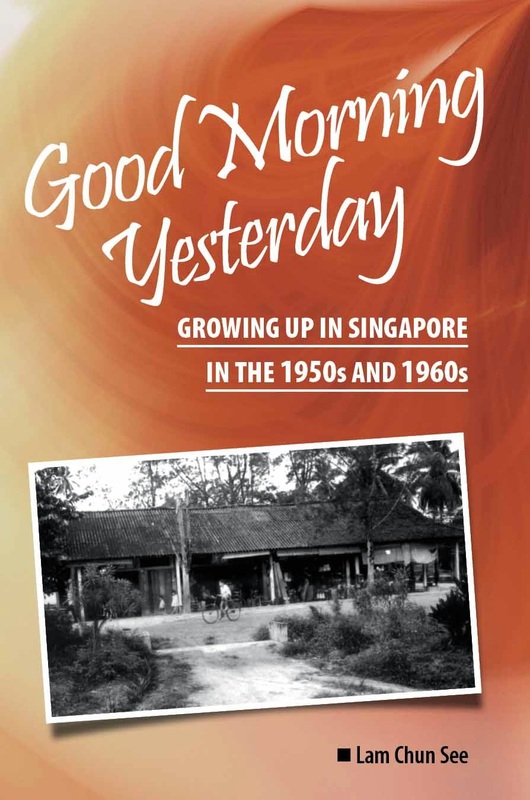 It is always every school boy dream to travel overseas especially when even a short overseas holiday to nearby Kuala Lumpur was considered a luxury for many Singapore families of the late 1960s. Even as we speak of “Bangkok”, the city still conjures images of Cleopatra, Emmanuelle or Nana-Nana; what more back then in the 1970s. Photo 1: From my hotel window watching the two trains meet on the BTS line. Times Square is on the left of the photo. 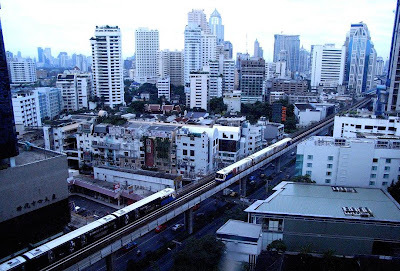 When I looked down from my hotel window at the two trains “passing each other” at the Asoke Station, it brought me back to the past. The school boy dream did indeed come true in August 1971. Twenty rugby players between ages 17 and 18, two male teachers from Raffles Institution made their way into Bangkok for this 12-day trip. The old boys association came up with S$5,000 to sponsor this trip. Each student took with him between S$50 and $150 of his parent’s money to spend. We boarded the Malayan Railway morning train at Tanjung Pagar Station, arriving in the late afternoon in Kuala Lumpur with just enough time for the only proper bath (for the next 40 hours) before departing on the 9 pm train to Butterworth. Next morning at 10, we transferred to the State Railway of Thailand international train service to Bangkok. Initially the ride was pleasant with plenty of beautiful landscapes to see; e.g. rice fields, villages and mountains. This was also the Thai summer season for longans and rambutans. 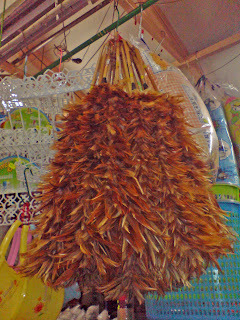 At each train stop, children with baskets on their heads sold Thai fried chicken and banana fritters. We were greedy or put it another way, there was absolutely nothing else to do besides pacing up and down the coaches, playing pranks, sleep and wake up, and singing “dirty songs”. Photo 2: Left Photo; A Vajiravudh player holding the ball on his way to a touch down. No Raffles players in sight. Right Photo; I am the last man at the line out against Pre-Military Academy. Flat-top hairstyle had already become fashionable in Bangkok in the early 1970s. Forty-eight hours later after we left Singapore, we entered the Bangkok area. We freshened-up and put on our school uniforms again with very little hygiene standard to show because we managed a face-wash, brushed our teeth, quick shave and “brylcream” the hair. How we wished we could shower but the train did not have shower facilities and water droplets came out of the faulty basin tap. As the triple-crown champions of Singapore for the Kiwi Cup, 15s and 7s, we took part in this inaugural game against Vajiravudh. It was hoped that this game could eventually develop into an annual series involving Raffles, Malaysia’s Malay College and Vajiravudh. Vajiravudh was considered the Eton of Thailand (www.vajiravudh.ac.th). Two curtain-raiser matches were arranged before our actual game against the Thai school national champions. We beat King’s College but lost by a single point to Thai Pre-Military Academy on the 90th minute. The game against Vajiravudh College was held at the National Stadium. We played before His Highest, King Bhumipol and the game was televised “live” on Thai national TV. We lost the match 46-6. Not only was Vajiravudh playing at a very fast pace, they were very fit and every Thai player had a 6-pack anatomy. Unlike athletes today, we were not boarded in a special games village or in a hotel. We stayed at one of the residential colleges within Vajiravudh’ school compound. After many decades, I took the opportunity on one of my business trips into Bangkok to revisit Vajiravudh just to check out how much has changed. I was greeted by Major Apirat, the sports convener who showed me around the place. I told Major Apirat about the wonderful Thai hospitality where we were fed on daily basis for lunch - Thai pineapple rice with huge portions of Thai Chicken Gai Yang, Kaeng Keiw Warn curry, Kai-lan and Thai Otak. Photo 4: Left Photo; Group photo session with Vajiravudh. Vajiravudh students wear the blue bermuda and white shirt school uniform. Right Photo; The same building where the group photo session took place. It is now the Vajiravudh Assembly Hall. Our Thai host took us for sight-seeing of Bangkok. We visited the Grand Palace, the Benchama Temple, Bangkok Zoo (just across the school), river boat ride down the Chao Praya River, Crocodile Farm at Samut Prakan and Rose Garden. We went to a Thai Army-owned TV station to watch Thai Boxing and were interviewed over the sports channel – little did we realize that there was a confluence of military and private business interests in Thai society. At official dinners, we were entertained by Thailand’s top cultural troupes. I must add that all the places we went were strictly educational and cultural except probably for the only time when we were allowed to shop at Jim Thomson’s Silk Store. Fortunately or unfortunately, we didn’t get to see Bangkok’s pulsating night life; many thanks to Mr. Natahar Bava and Mr. Graham Pierce (teachers and guardians). We missed pole dancing and cabaret shows although we did see from our coach the neon lights and attractions of the Soi Cowboys from Sukhumit Road and the ladyboys of Patpong. Even if we were allowed to go on our own in a “tuk tuk”, we had to have one of Vajiravudh College’s seniors; looking as if we could lose our direction in this city. We understood all 3 Thai schools were an all-boys school in every sense of the word - in and out of the school environment - but it was the Thai Pre-Military Academy boys who were more willing to educate us about “the other side of Bangkok”. Perhaps this might explain the difference between civil servants and the military in Thailand. Vajiravudh produced top men for the civil service and Thai Pre-Military Academy produced top generals for the “Brown Shirts” and “Green Shirts”. Photo 5: Left Photo; The rugby field where we trained on alternate days when we didn’t have a game. 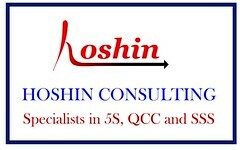 Our training commenced at 4pm and ended at 6pm. Then it was time for dinner and curfew. Right Photo; The residential house was our home for the next 10 days. There is a road on the bottom left of the photo which leads to the back gate. This back gate was a “secret door” to leave the school for the bright lights of the city. I was told it is “still operational”. Now back to 2007. This time I was able to meet an old friend Suchai from King’s College for a social drink. We chat of the good old days and talked “who is where”, each minute serenaded by a live all-girl Filipino band at the Westin Grande Sukhumvit Hotel and serviced from attentive high-slit dressed waitresses. Too bad for you, I don’t have any female companions in my photo album to show you because it was 1971. I dare say, practically every (Chinese) male of my generation knows who is Shek Kin (石坚). 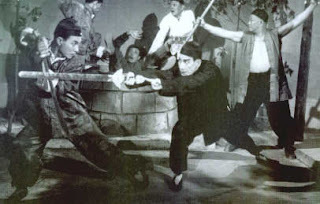 Together with Kwan Tak Hing, he starred in more than 80 Wong Fei Hong movies. So strong was their impact on my memories that one of the very first articles that I wrote in this blog back in September 2005 was about going to the South Country Theatre in Kampong San Teng to watch these movies. Last week the legendary Shek Kin passed away at the ripe old age of 96. 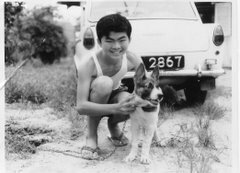 Together with Kwan Tak Hing, Cho Tat Wah, Sai Kwa Pow (the buck tooth guy who acted as Ngar Chart So) and many others, they gave us kids many wonderful hours of leisure at a time when there were no televisions or PC’s. Memories of watching Wong Fei Hong movies in open air cinemas will always be an indelible part of our childhood memories. 2) Chinese news report of Shek Kin’s passing. You can see short video clip of Shek Kin in action against Kwan Tak Hing here. Kwan’s favourite weapon is the long wooden staff. 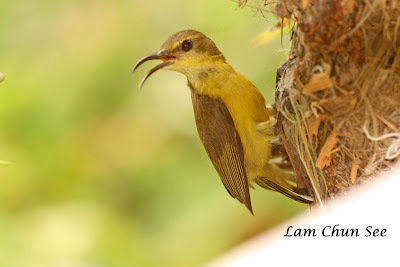 Last year I blogged about how a pair of sun birds built a nest in our balcony and raised two chicks (here, here and here). Well they are back again; or rather, I should say, they were back again. This time around they built their nest in a very awkward location which was only inches away from our 2nd floor study room window. The only way to photograph them, was to go right up to the window; but the short distance would frighten them away. Alternatively, I had to photograph them with a zoom lens from my garden. Anyway, I managed to take some photos of the couple building their nest; and I would like to share them with you here. 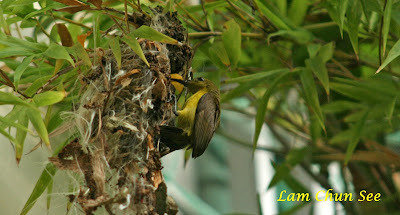 1) These are shots of the nest taken from my garden. As you can see, the nest is very near the window, but at an awkward angle. Photo no. 1 shows the as yet incomplete nest. 2) These shots were taken at close range. I managed to hide behind the curtain without their noticing. However the sound of the camera shutter did frighten them away initially. At first, I wasn’t sure if they were still in the process of building the nest or had already laid the eggs. 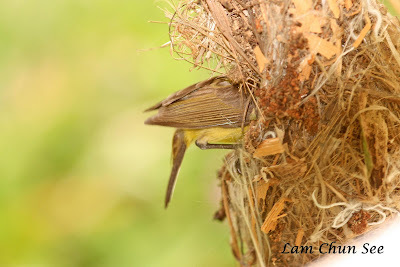 With the opening of the nest facing outwards, there was no way to peek in and check. 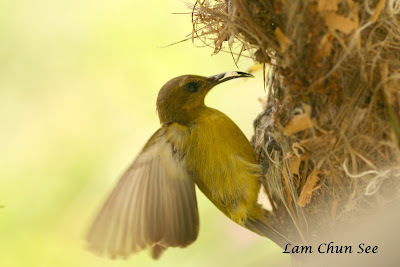 But from this series of photos you can see them bringing in the material to build the nest. Do you see the leaf in the bird’s beak? 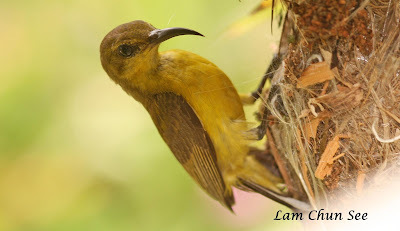 The female actually poked her head into the nest and (presumably) arranged the materials. Then she did something really interesting. 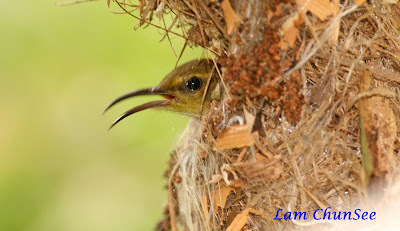 She climbed into the nest and sat inside with her head sticking out of the opening and wriggled briefly. I think she was testing the nest which will be her home for the next few days. With these shots, I suspect I might have achieved something very few amateur photographers had done. I have photographed these lovely creatures from a distance of less than two feet away. We have more than 160,000 Foreign Domestic Workers (FDWs) in Singapore who come from all walks of life; from the Philippines, Myanmar, Thailand, Indonesia and Sri Lanka. It is not uncommon to hear of horrible stories about employers badly treating their maids; verbal abuses, punishing work-hours, working in non-stipulated place of work, insufficient food, and withholding salaries. Also equally nerve-racking are stories about incorrigible maids who gallivant, demanding week-end offs after a contract has been drawn-up, poor work attitude, and engaged in mobile phone gossips. These constitute the minority but the truth is the ugly minority gets all the public attention. Next round I shall feature the Ah Tiongs, the Prisaks and the Giris.